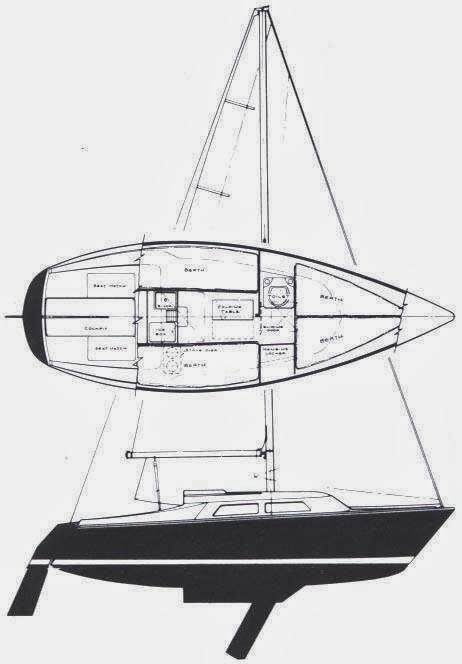 I am still thinking about selling the PY23, but not giving up sailing. When a deal fell into my lap for an old, but very usable 12 foot dinghy, I grabbed it. The boat in question is a Petrel, made of aluminum as commissioned by Alcan in the late 1960s. This particular one was probably made in the mid 1970s. 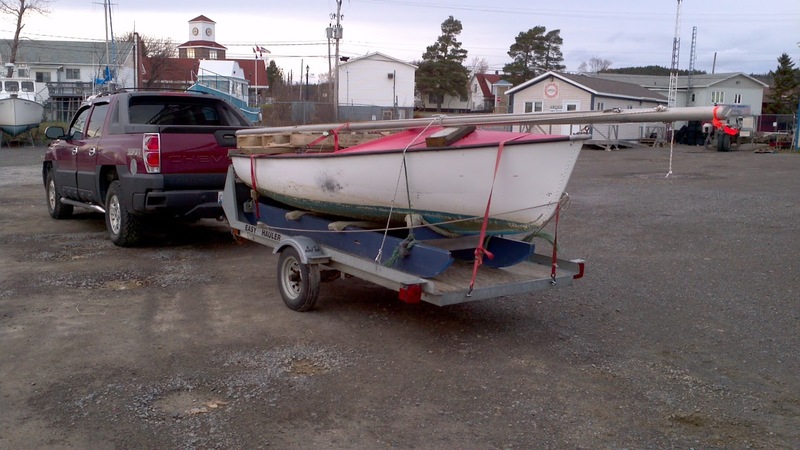 The boat blelonged to the Lewisporte Yacht Club, but had been neglected for years until I got it back into working order in 2013. 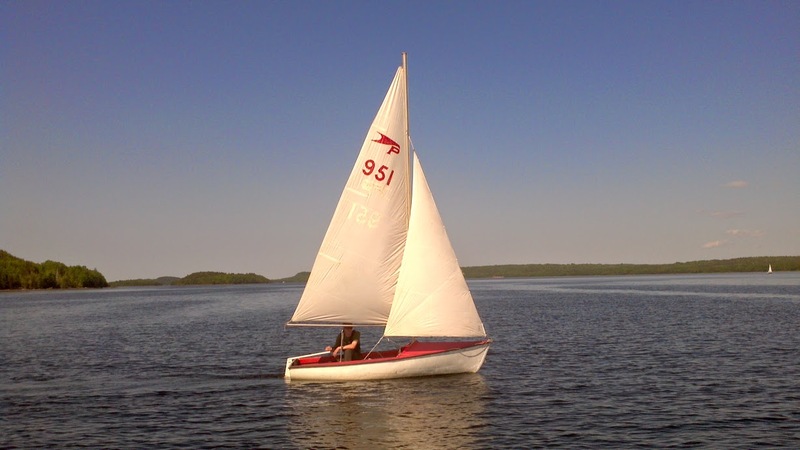 You can read more about that at http://jph4.blogspot.ca/2014/04/alcan-petrel-12-sailing-dinghy.html. My first sail aboard the Petrel in 2013. Note Serenity with the blue tarp up. The Petrel will probably get a proper trailer, and mostly be used on fresh water from now on. My dinghy experience is very limited, so I'd rather spend some time on warmer waters until I'm more comfortable in one. Lloyd sailing the Petrel in 2014. 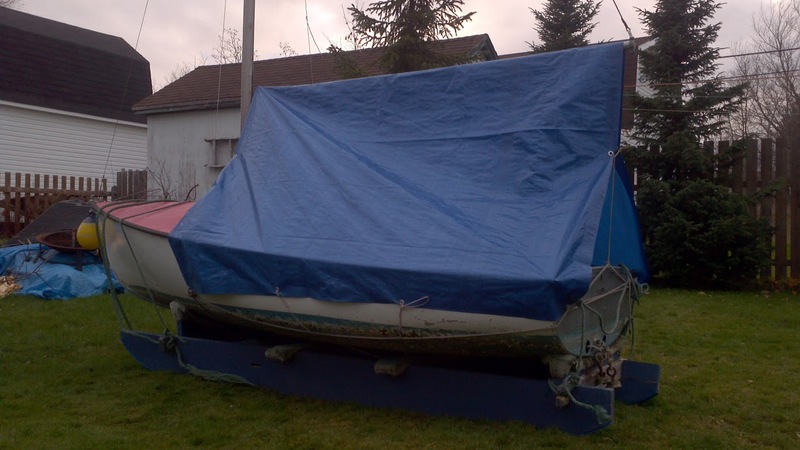 The boat was used only a couple of times in 2014, even though it spent the summer in the water at the marina. Mostly I just bailed it out many, many times. Bringing the Petrel home on 2014-11-09. Even if Serenity finds a new owner, I'll have no trouble finding boats to crew aboard, and with the Petrel, I can still go sailing whenever I want. It is a whole lot cheaper to operate and maintain too. The Petrel put away for the winter on 2014-11-13. I'm looking forward to the spring already!